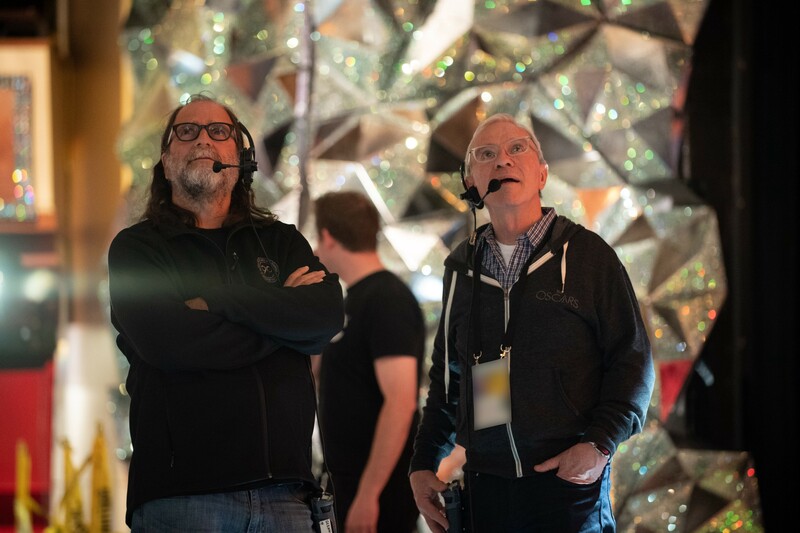 Dickinson has worked on the Grammys, the Tonys, the Emmys, the Academy of Country Music Awards and the Kennedy Center Honors, but the Oscars are where he got his live-TV start. The year Dickinson began working for the show was the first time the Academy sought a freelancer for the job. Dickinson’s number one goal has always been to make the talent on the show, from presenters to audience members, look good. Dickinson’s team takes cues from filmmaking, using certain cinematic light qualities to make for a flattering scene. Every year, as technologies evolve, the result improves. “I think it’s going to be a really visually stimulating and beautiful show,” he added. He recalled hearing from people outside the industry refer to an Oscar year by the set. According to Dickinson, lighting controls mood. It’s the hidden ingredient of a production. Dickinson and his team tweak the show’s lighting for weeks, even taking into consideration what presenters plan to wear. During rehearsals a day or two before the show, talent will discuss their wardrobe with Dickinson, which informs how he decides to light them. But many times, Dickinson noted, the presenters go back home and start considering their options, and show up in a completely different outfit. One case he recalls is when Barbara Streisand, “the most amazing presence on any stage,” went up to present the Oscar for Best Directing. Other surprises come up, for example, when people jump onto seats unexpectedly. Roberto Benigni accepts the Oscar for Foreign Language Film in 1999 after a legendary leap to the stage. Although Dickinson has his fair share of Oscar memories, he’s excited to continue making more. This interview is part of “Only I Know,” our series dedicated to taking Oscar fans behind the scenes with some of the key players that make the show happen.